This week’s Wine Wednesday was all about beer! For those unfamiliar with this longstanding tradition, every Wednesday at 5:00 the TLCD Architecture office gathers in our “Garage” conference room for snacks, refreshments, and a fun presentation. The topics range from updates on current project designs, the latest trends in architecture, current events in our community, slides shows of recent vacations, and sharing of our favorite hobbies. 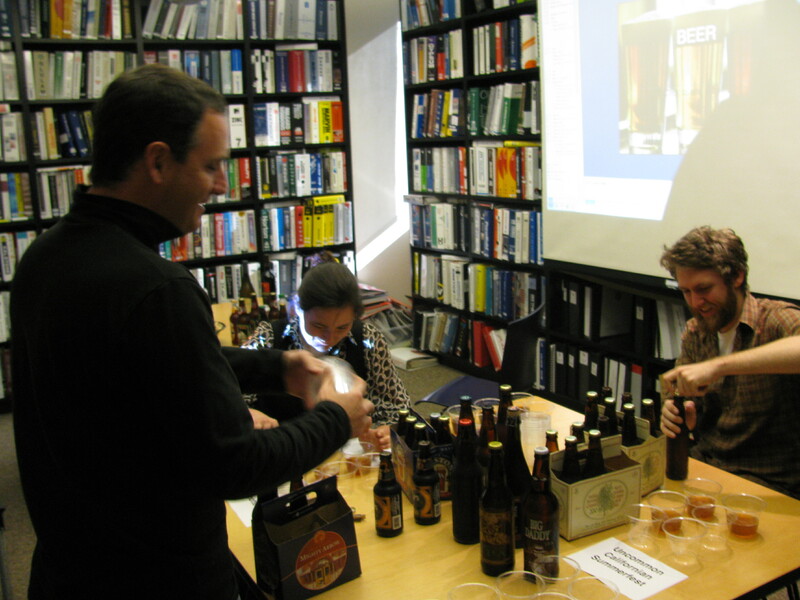 Kevin, Dean, and I prepare to sample our homebrews! 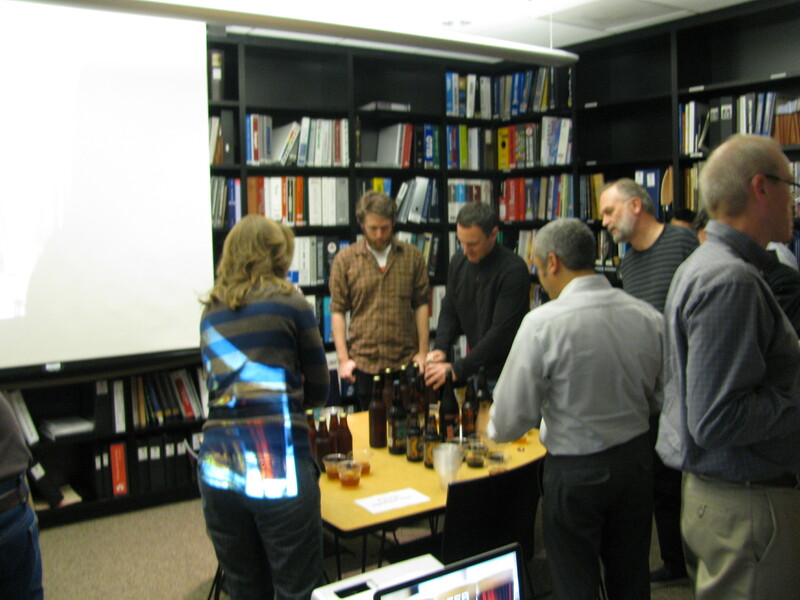 It was a big turn out for our beer brewing presentation. What started as a fun experiment, has evolved into a full-fledged obsession and it was great to share my experience with everyone in the office. Dean Snodgrass, a fellow home brewer, helped describe the process of fermentation and the role that each ingredient plays in flavoring a brew. We also discussed a brief history of microbreweries (there are over 1,482 microbreweries across the United States, Sonoma County boasting some of the best!) and the burgeoning home brew culture. 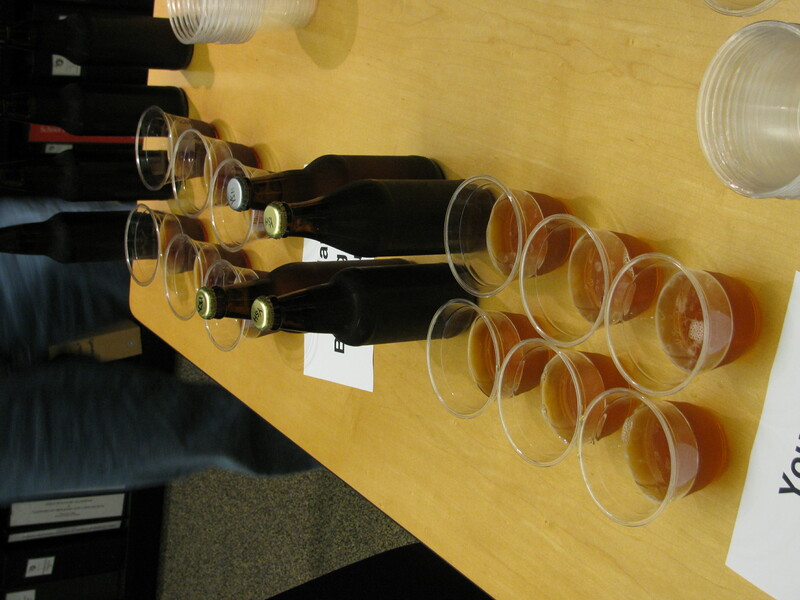 During the presentation, participants sampled a number of our homemade brews including a Carmel Colored British Amber Ale, California Pale Ale, and Milk Stout. Kevin brought his own special dark stout and awesome pale ale to sample as well. All in all it was an exciting talk and a fun way to share some outside interests with the rest of TLCD Architecture folks.